THE Canberra press gallery was once prowled by political reporters said to be more influential than many Ministers. 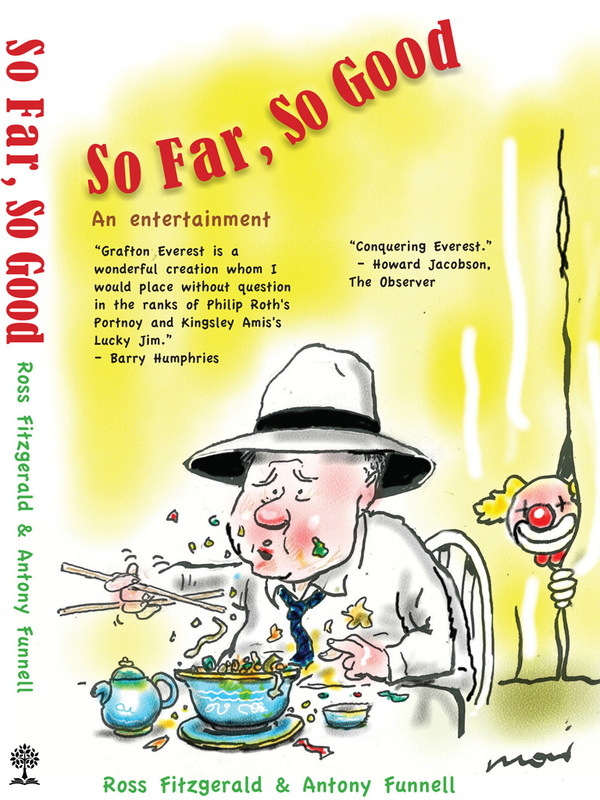 The biggest scoop, by one of the most fearsome in their ranks, Alan Reid, is chronicled in a new book. In the autumn of 1963 the major national political issue in Australia was the Labor Party’s response to the Menzies government’s new security agreement with the United States, under which a communications station to control Polaris nuclear-armed submarines was to be established at North West Cape (also known as Exmouth Gulf) in Western Australia. The agreement provoked clamorous opposition. A resolution from Labor’s WA state branch opposed “any base being built in Australia that could be used for the manufacture, firing or control of any nuclear missile or vehicle capable of carrying nuclear missiles”. Some federal members began to treat the WA resolution as official party policy, but Labor’s federal opposition leader Arthur Calwell and deputy leader Gough Whitlam felt that support for the base was not in conflict with party policy provided the base was subject to joint control. Veteran Canberra gallery journalist Alan Reid, then of Sydney-based media owner Sir Frank Packer’s The Daily Telegraph, sensed that a great story was in the offing. It was surely a sign of instability and weakness that Calwell, worried about the attitude of NSW federal MP Tom Uren and other leftists, twice sought a favourable ruling on North West Cape from the ALP federal executive. He could not, Reid reported, “take a trick”; the executive referred the issue to the party’s federal conference, where the left faction, with the support of the West Australian, Victorian and Queensland branches and a couple of Tasmanian delegates, had “a clear-cut majority” of the 36 delegates (six from each state). A special federal conference, the first since Labor prime minister John Curtin’s conscription initiative in 1942, was called for March to determine the issue. The federal executive, in calling the special conference, directed the relevant conference committee to prepare a policy report on North West Cape. The committee produced a majority report that accepted the American base provided certain conditions were met. A minority report opposed the base under any circumstances. Relying on an inside source, whom Uren later suggested was NSW MP and former Packer journalist Les Haylen, Reid wrote in The Daily Telegraph that the Left could count on having 17 to 19 votes in the 36-member conference. This was not a clear-cut majority at all. The conference assembled at Canberra’s Hotel Kingston on Monday, March 17, 1963, and ran through the next couple of days before coming to a head in the wee hours of Thursday morning. At 8pm on that endless Wednesday night, Reid could see that “delegates were still running around” with no decision, compromise or otherwise, having been reached. Calwell and Whitlam, who had both addressed the conference, were in their offices at Parliament House waiting for a telephone call to tell them of the conference’s decision. Half an hour later the parliamentary leadership began ringing the Hotel Kingston to see how things were going. The delegates had voted 21 to 15 against a complete ban, and the conference was now deadlocked at 18 votes each as left-wing and right-wing negotiators tried to formulate a resolution that would get up. The issue was determined at 1.45am by 19 votes to 17 after a Queensland delegate (state opposition leader John “Jack” Duggan) abandoned the Left and voted for a resolution which the delegates from NSW, South Australia and Tasmania supported, under which the conference accepted the US base subject to joint controls. In the lead-up to the final vote Reid and his fellow pressmen were gathered in the foyer of the Hotel Kingston. As things stood, he realised that he did not have a memorable news story on his hands. Labor, he knew, would have plenty of time to recover from this display of disunity and indecision, the next federal election not being due until the end of 1964. The decision to accept the base would have removed a major point of difference between the Opposition and the Coalition. Labor now had a breathing space to turn the focus of attention back on to the more favourable battleground of domestic issues. Even at midnight Reid remained unflustered. He knew he still had time to conjure up a good news story given that his journalistic working day could often last until 3am. As Wednesday ticked over into Thursday he asked a colleague (who can tentatively be identified as the seemingly ever-present John Bennetts of The Age) to see what was happening outside in the darkened environs of the Hotel Kingston. A report came back to the effect that Calwell and Whitlam had just arrived from Parliament House. This piece of information caused Reid to have a brainwave. Experience told him that a picture was worth a thousand words. Were the two loitering Labor leaders, he hoped, doing something that might make an arresting or embarrassing photograph? As luck would have it, they were. Calwell and Whitlam could be seen outside the Hotel Kingston conferring with West Australian-based powerbroker Joe Chamberlain and other conference identities under a street lamp. A scoop would be plucked, Prospero-like, from the jaws of frustration if the moment could be captured in a photograph. Reid went into full poker-playing mode. Never was the Red Fox, as he was known, more vulpine than on this night. After waiting to ensure that the other pressmen with him did not know what he was up to, he went to a nearby phone and asked for a newspaper photographer to be sent over. Although told that no photojournalist was available, Reid’s run of luck continued, as he later revealed in oral history. After making his fruitless phone call Reid suddenly discovered, to his great relief, that among the people who had come to the Hotel Kingston to have a squiz at the proceedings was someone who was both a highly skilled photographer and a friend, or at least the friend of a friend, their familiarity springing from the fact they were both enthusiastic anglers who loved to go fishing for trout at the famed Blue Water Hole at the head of the Goodradigbee River. Reid promptly asked this saviour — since identified as Vladimir Paral, a senior scientific photographer at the John Curtin School of Medical Research — to rush home and get his equipment and take as many photographs of Calwell and Whitlam as he could. Reid told Paral that he need not worry if the shots did not glamorise the subjects. The more disordered and confused people appeared to be in the photos the better, for Reid’s purposes. In some shots Paral only got the backs of the heads of the party insiders Whitlam or Calwell were talking to. Such was the way in which the photographic images of the “faceless men” who ran the Labor Party were created. A few hours later the pressman and the photographer met up in King’s Hall, where Paral’s unflattering photographs, which had been developed in a darkroom at the John Curtin School, were handed over and dispatched to Sydney by the first flight out of Canberra. The midnight photographs accompanied Reid’s final story on the ALP conference in Friday’s edition of The Daily Telegraph and were presented as indicating “a sad commentary of the decline in status of Labor’s parliamentary leadership”. Calwell and Whitlam, the Telegraph’s story lamented, had been forced to wait in the darkness outside the Hotel Kingston as the federal conference delegates — 36 “virtually unknown men” — decided Labor policy on the proposed US communications base. One of the photographs showed Calwell and his speechwriter, Graham Freudenberg, huddled with Labor’s lord mayor Clem Jones of Brisbane, pleading with him (he was a delegate) to oppose the call for a complete ban on the base. Another picture showed Calwell and Whitlam earnestly buttonholing Frank Waters, another Queensland delegate. In a third photograph Calwell was seen conferring with Joe Chamberlain. The West Australian still believed he had the backing of 18 of the 36 delegates to go for broke and block approval of the base, which would have forced Calwell, in Reid’s view, to “defend the indefensible”. A worried-looking Duggan provided the denouement in Reid’s version of the Bayeux Tapestry. After being photographed with Whitlam and Calwell, Duggan returned to the conference room where, after some uncertainty, he finally voted with right-wing delegates to get the diluted resolution of support through. The substance of the policy adopted at the Hotel Kingston was no longer the immediate concern; what Reid had succeeded in doing was to present Calwell and Whitlam, whose policy had got up at the conference, as wholly dependent on decisions made by invisible forces in the party machine. The result was, in the opinion of a Whitlam aide, “a publicity disaster”. Reid’s story was directed against Calwell and Whitlam. Demonising the organisational wing of the party was merely a means to this end. Labor’s machine men had been among Reid’s most reliable sources of political information for years. The focus on Labor’s machine men intensified as Menzies, bent on reversing the Coalition losses of the 1961 election, searched for issues on which he could fight an early election. Initially the alliance with the US was the key point of differentiation, but as 1963 progressed it was Labor’s division on whether to support state aid for Catholic schools that was increasingly mined as an issue. Here was a domestic issue that could be put to good use. Divisive sectarianism was still alive. Labor’s fear of Catholic political activist Bob Santamaria, unmodified since the party split of the 1950s over communist influence in the ALP, made it wary of supporting state aid. Reid and the Telegraph were caught up in the action as the parties jostled for advantage. When covering the 1963 NSW ALP conference, Reid had been impressed by a policy document that proposed state aid for libraries and science blocks. It was not adopted, but Reid did not forget it. He mentioned the document to Menzies, who asked for a copy. On October 15 Menzies announced that the nation would go the polls in an early election November 30 to elect a new House of Representatives. This statement was followed by a rare Menzies press conference. In reporting this event Reid waxed lyrical about the prime minister’s “aplomb and gusto”. The suggestion of a possible post-election decision to retire or go to the House of Lords, diffidently raised by pressmen, was greeted with “withering cheerful scorn”. [Menzies did retire as PM in the next term, in early 1966.] A gruelling election campaign was being embraced with “the casual off-handedness of a Sydneysider talking about a Manly ferry trip”. It was clear, Reid wrote, that the prime minister had the zest to carry out his demanding job. But as a result of an “imaginative and appealing” policy speech, Calwell and his colleagues, Reid thought, had for a brief moment “a real chance of becoming the next government of Australia”. Reid, powerfully aided by Paral’s back-of-the-head shots of conference delegates, had originally written about the “virtually unknown men” and their role at the 1963 special conference. He had posited a void, which Menzies had filled up with scary imagery. The Menzies formulation of “36 faceless men” reinforced the idea in the mind of a fearful electorate. The notion was milked for all it was worth. A Liberal Party election leaflet featured one of Reid’s photographs of Calwell waiting outside the Hotel Kingston. It was a worrying day, the leaflet said, when “national leadership on great affairs is surrendered to unknown outsiders bitterly fighting with one another about action on national survival”. Labor’s faceless men rejected state aid for Catholic schools, so Menzies pledged pound stg. 5 million for science blocks for private as well as state schools. As polling day drew nearer Reid made much of a pledge made by Calwell to abolish preferential voting. He suggested that such an action, by preventing the Liberal and Country [now Nationals] parties from pooling their votes, “would mean that a federal Labor government once in power would continue in office almost indefinitely”. Within a few days the need for scare tactics was obviated, in tragic circumstances. The assassination of president John F. Kennedy on November 22, 1963, confirmed the electorate’s determination to steer clear of political change at a time of intense insecurity. On the following weekend, as voters trooped to the polls, media coverage of an Australian election reached a new technological level. Frank Packer, eager to turn the event into the nation’s first televised election night, devoted the manpower and technical resources of TCN9 and its Melbourne associate, GTV9, to an election night telecast covering Sydney, Melbourne, Canberra, Newcastle and Wollongong. The linchpin was the advent of an interstate coaxial cable which, in those landline-only days of local TV, linked television coverage in Melbourne and Sydney with the Canberra tally-room, where the Packer team featured psephologist Creighton Burns, who had a state-of-the-art computer at his disposal to process the results. Election night kicked off at 8pm, when Brian Henderson in Sydney introduced viewers to “the first network election coverage”. Behind the scenes an epic race between man and machine was under way. At 8.10pm the news director at the Telegraph called the master control room to say that “Alan Reid’s got something to say”. There were few results on the tally board and the computer had yet to enlighten anyone about anything when the control room cut to the Telegraph newsroom, prompted by the sight on the monitor of Reid’s worldly wise face wreathed in cigarette smoke. “The government’s back in, and we’re saying so in the edition that’s going out now,” the pressman announced. At about 9pm Reid reappeared in the telecast, standing in front of a news board that proclaimed “Menzies Wins”. “Menzies is back with a majority of about 13,” he said. It was soon clear that Reid had bested the computer, and Packer ordered the computer to be removed from the presentation after Burns, despite Reid’s correctness by then being in no doubt, continued to announce that Calwell still had a good chance of winning the election. The 1963 election had proven to be a highly successful referendum directed against Labor’s faceless men. The process of winding back the power of the faceless men gathered pace over the rest of the decade. Labor’s modernising wing marketed the structural reforms, which came into effect in 1967, as “the greatest change in the framework of our party on a national scale” since the formation of the federal executive in 1915. Whitlam, elected Labor leader in 1967, was proud to announce that the party had “now demolished the cry of the 36 faceless men”. But despite the rhetoric, Labor’s faceless men lived on. They were not extinguished; their position was merely modified. The parliamentary leadership, state and federal, was rudely grafted on to the federal conference, whose composition otherwise remained exactly the same. The six state conferences continued to pick six national conference delegates and two delegates to the national executive. The faceless men, while no longer the sole controllers of the party organisation, were still a part of it. Their influence was further sustained by factional ties between them and individual members of Labor’s parliamentary leadership group. Further reform, involving restructuring of various dysfunctional state branches of the party, was required to make the organisation of the ALP truly seem less exclusive and anachronistic. The faceless men story of 1963 showed that a working journalist could make an impact on national affairs without having to move up the hierarchy to the level of an editor or senior manager. Reid was a force to be reckoned with, but he was keen to give the impression power had not gone to his head. Management, he insisted in a rare public address in 1965, determined what journalists did and managers, for the most part, did what the private owners of the Australian press told them to do. Pressmen such as himself were humble hewers of information. Laborites and unionists who were at the receiving end of Reid’s journalism in Packer-owned publications refused to accept this self-deprecation. This is an edited extract from Alan “The Red Fox” Reid: Pressman Par Excellence, by Ross Fitzgerald and Stephen Holt, to be published next week by New South, $49.95. 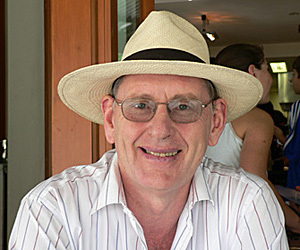 Ross Fitzgerald is a writer, broadcaster, historian and political commentator who writes a regular column for Inquirer. 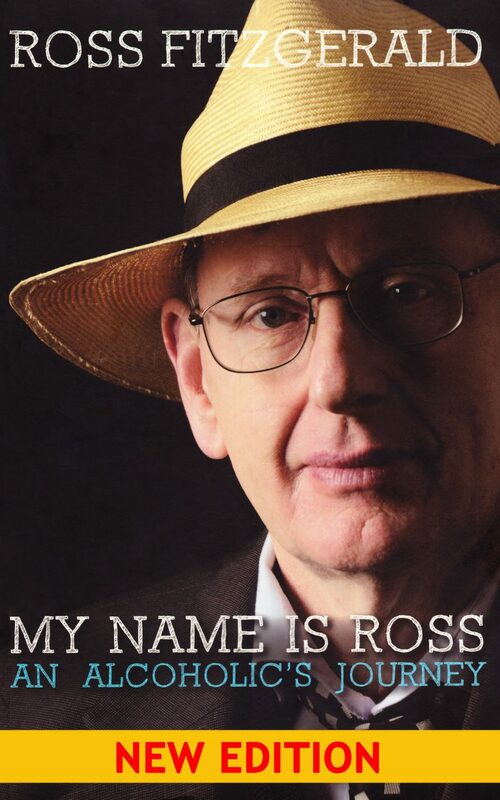 He has published 33 books, most recently My Name is Ross: An Alcoholic’s Journey. Stephen Holt is a Canberra-based historian and speech-writer. His biography of Manning Clark was published by Allen & Unwin in 1999. As a policy officer, he has drafted speeches and letters for past and present ministers, including Joe Hockey and Julia Gillard. For much of Reid’s career it was hard to tell where a straight reporting of events ended and a behind-the-scenes involvement in politics began. The Depression politicised him for life. Mass unemployment led him to support the Australian Labor Party as emboldened by its NSW leader Jack Lang. Reid’s Langite connections eased his entry into the inner ranks of political journalism. To sustain his career after Lang’s appeal weakened, Reid, in the era of John Curtin and Ben Chifley, made new contacts, notably ALP numbers man Pat Kennelly. He liked being close to power. It was good to know key political players and to be able to directly scrutinise their thoughts and deeds. He had entree to party leaders and senior figures in both the Labor and non-Labor side of politics. He conversed with Curtin and was close to Chifley. In later years he counselled Robert Menzies and Harold Holt on how to win elections. He sought to boost Bob Hawke’s career in the 1970s by championing him as the nemesis of the Labor Left. Near the end of his career, in the 80s, he inadvertently inspired Malcolm Fraser to set up Frank Costigan’s royal commission into the affairs of the Ships’ Painters and Dockers Union, an inquiry that took on a life of its own, as Fraser and his treasurer John Howard (a keen student of Reid’s writing) found, to their cost. Reid traded in information as he worked to construct a richer and wider understanding of what was going on. He needed to keep the trust of his sources and he did so by treating the journalistic code of confidentiality as sacrosanct. Politicians from all parties could swap stories with him in the knowledge that they would never be identified. At times Reid’s stories were tweaked to disguise or conceal the identity of the people who provided him with information. Reid’s standing as an insider was greatly enhanced because he was linked to the Packer media empire. But any empire, if it is to last, needs to attract the support of able and proficient retainers. For such retainers, this need creates scope for autonomy and, in the case of an outstanding journalist such as Reid, freedom of expression. Reid’s professionalism and discretion — qualities evident for years before he joined Packer — were vital in allowing him to maintain his impressive network of contacts. Through them he had access to the inner workings of the nation’s politics and government. The ’36 faceless men’ is one of the great phrases of Australian politics. It created the legend of Alan Reid, the journalist who in 1963 broke the story of how the 36 unknown members of the federal conference of the Labor party were deciding the Parliamentary partyâ€™s policy for or against an American base in Exmouth Gulf while the Parliamentary leaders (Arthur Calwell and Gough Whitlam) were loitering under a lamppost in the cold outside Canberraâ€™s Hotel Kingston waiting for their orders from the meeting inside â€” which they got at about 1.45 a.m.
Ross Fitzgerald and Stephen Holt reveal the â€˜inside storyâ€™ of the phrase in their lively new biography, Alan (The Red Fox) Reid. The extraordinary scene outside the Kingston demanded photographers, but they had all gone home and would not come back. A desperate but determined Reid turned for help to an ANU scientific photographer and fishing friend who, moonlighting as a taxi driver, suddenly arrived at the Kingston looking for trade. He was the late Vladimir Paral. Reid persuaded him go home to collect his camera and snap Calwell and Whitlam under the lamppost. Paral then developed the prints in the middle of the night in the ANUâ€™s John Curtin School of Medical Research in time for Reid to rush them on the early morning plane out of Canberra to the Daily Telegraphâ€™s couriers in Sydney. Fitzgerald and Holt also show that Reid did not coin the phrase â€˜36 faceless menâ€™. His original story referred to â€˜36 virtually unknown menâ€™. It was Harry Turner MP who first used the phrase â€˜36 faceless menâ€™. Then the Liberal party turned the words (with pictures) into a winning slogan for the 1963 election. When launching the biography at the Sydney Institute last week, Stephen Holt seemed to depart from his scholarly detachment and treat the incident as a beat-up because the â€˜faceless menâ€™ had been democratically elected by Laborâ€™s organisational wing and were entitled to have their say. But the point is, if you believe in government by a Parliament elected by the public, you cannot allow a tiny extra-Parliamentary minority elected by another minority to direct and control the Parliamentary representatives. With Julia Gillard in the driver’s seat, it is perhaps fitting that a woman has been revealed as behind one of Labor’s most powerful and enduring icons. Canberra journalist Alan Reid had a photograph taken of Labor’s federal leader Arthur Calwell and his ambitious deputy Gough Whitlam one cold 1963 night outside a Canberra hotel awaiting their marching orders from a special ALP conference. Reid’s story and the photograph was published in the then Packer-owned Daily Telegraph. Thus the deathless phrase ”36 Faceless Men” entered the Australian lexicon. Tony Abbott exhumed it to attack Gillard’s rise last week but Ross Fitzgerald, who with Stephen Holt co-authored the book Alan ”The Red Fox” Reid, revealed in Canberra last night that one of the 36 Faceless Men was not all she seemed. The Tasmanian MP Phyllis Benjamin MLC, who bore a disturbing resemblance to Edna Everage, was the only female delegate to the conference. ”But in the 1960s ’36 faceless persons’ wouldn’t have had the same cachet and lasting media power,” Fitzgerald said. 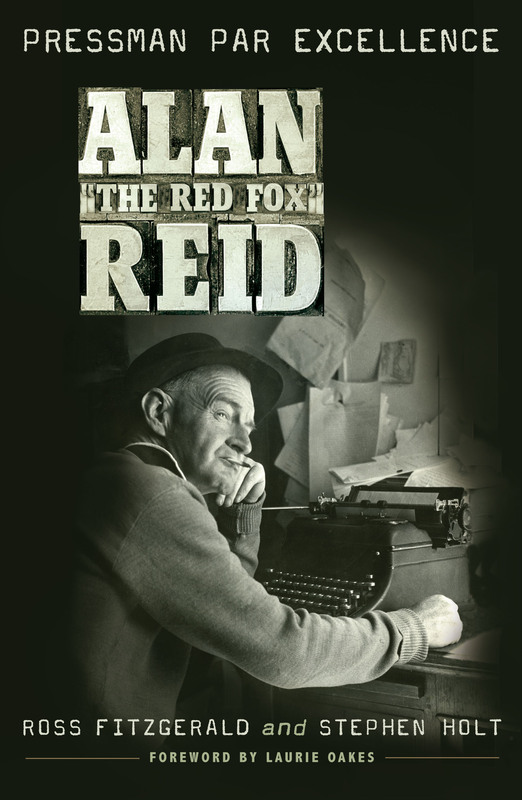 Another Red Fox who prowled the halls of Parliament House was Alan Reid, the famous journalist, always authentic, never synthetic, but whose interference and participation in the game of politics proved countless times that the medium is the message, not the messenger. Reid’s life as lapdog and attack dog for press barons has been detailed in Ross Fitzgerald’s and Stephen Holt’s biography, The Red Fox. Reid’s tobacco-stained fingerprints could be found all over a story written by Rupert Murdoch himself about the Labor Party’s attempt to secure $800,000 from pre-Saddam Hussein’s Baathist government to cover costs of the 1975 general election. History is not replete with ironic events but history is irony. On hearing of Gillard’s ascension, Reid would turn over in his grave, although he was interred into an urn at Sydney’s Northern Suburbs Crematorium and later spread across the Snowy Mountains at Currango. The Prime Minister is an atheist, unmarried in a de facto relationship with a former hairdresser, childless, and a woman. God, therefore, is not in her House. â€œGo for your life, sport.â€ That was my curt introduction to Alan Reid, the doyen of the Canberra press gallery. As a green young hack in the mid-1960s Iâ€™d tip-toed into the Daily Telegraph office in old Parliament House wanting to cadge some telex time to file my copy to Sydney. Reid was perched in his usual corner like a vulture in a rumpled suit, a roll-your-own durrie in his nicotine-stained fingers. It was a Saturday afternoon. All the politicians were back in their electorates, but The Red Fox was still hanging around, just in case. Either that, or he couldnâ€™t stay away. Reid was already a legend of Australian political reporting. In the 1950s heâ€™d been the first to expose the activities of B.A.Santamaria and his â€˜groupersâ€™. In the 60s it was his â€˜36 faceless menâ€™ scoop that helped keep Menzies in power but also eventually allowed Whitlam to break the unionsâ€™ grip on parliamentary Labor. When I returned to Canberra a decade after my first meeting with Reid (to work for the ABC), he still commanded his favourite lookout spot in Kingâ€™s Hall, and the same desk in the Telegraph office. More than any other gallery journalist, The Fox embodied both the history and standpoint of political reporting in Australia. Ross Fitzgerald and Stephen Holt have now written an admirable account of Reidâ€™s journalistic career. He was a notoriously private man who â€“ perhaps wisely â€“ culled many of his personal papers in retirement. But while the domestic details of his life are scant, this survey of his 50-year innings reporting federal politics is impressive. 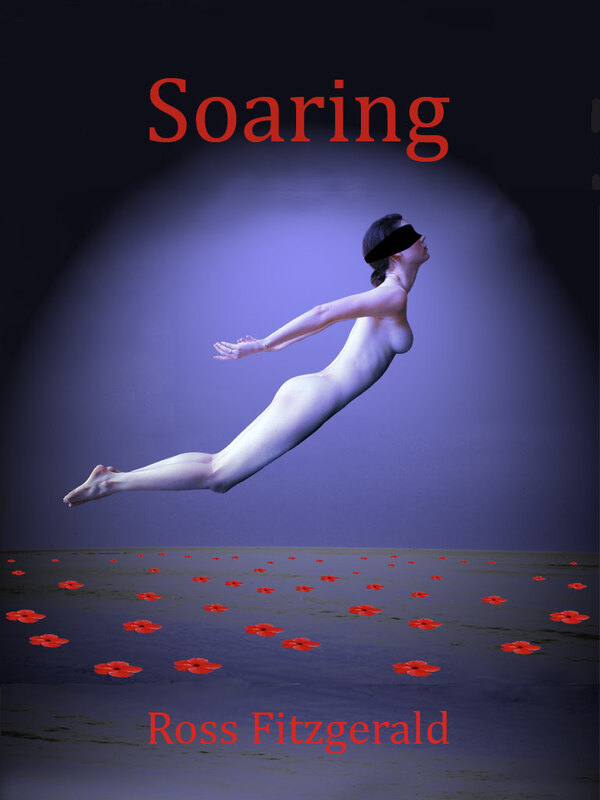 The book uses the great events of national affairs from 1930 to 1985 as its chronological framework, with Reidâ€™s involvement as a reporter the constant sub-plot. Whatâ€™s remarkable to learn is how often this esteemed journalist was prepared to sprint ahead of historyâ€™s footprint in an attempt to change its course. Reid, like so many gallery tragics, was fascinated by power, not policy. (Itâ€™s no surprise that he named the alter-ego character in his unpublished novel about politics â€œMacker Kalleyâ€ â€“ Machiavelli.) Almost everything he wrote, or later said on TV programs such as Meet the Press and Federal File, was concerned with leadership, threats to leadership and winning or losing elections. From the earliest days of his Canberra career with The Sun (1937-53), plots and conspiracies â€“ indeed any form of conflict or melodrama â€“ were his perennial themes. He was a tabloid man, through-and-through. Policy development and the legislative work of government rarely interested him, even as a commentator for The Bulletin in the last few years of his working life. For Reid, politics boiled down to who held power and who wanted to grab it from them â€“ the rest was inconsequential fluff. At the centre of this book (although not specifically explored in any depth) is the most contentious issue of national affairs journalism: to what extent â€“ if at all â€“ should we tolerate the intrusion of a gallery correspondentâ€™s personal views, or the interests of their proprietors? So addicted was Reid to the processes of political power that for more than 40 years he acted as much as a participant, go-between and adviser â€“ often even conspirator â€“ as he did as a reporter. Yet despite his staunch and lifelong membership of the Australian Journalistsâ€™ Association it appears he never recognised the ethical obligation of disclosure in these situations. It was as if he believed the menâ€™s club of Parliament House conferred on him a cloak of mutually-agreed invisibility. Worse, at least to my mind, were the frequent occasions on which Reid took, and carried out, direct instructions from his Daily Telegraph proprietor, Frank Packer. These went well beyond the customary subtle indications from Head Office as to which policies or politicians might be favoured in tomorrowâ€™s news report or column. 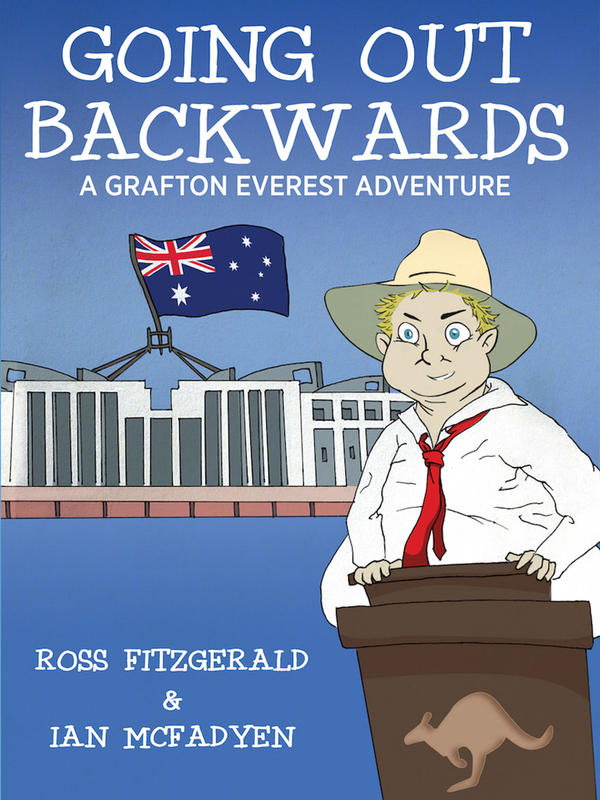 Packer expected his man in Canberra to toe the company line unquestioningly, and often to take an active role in precipitating events (for instance, the undermining of Gortonâ€™s prime ministership and ludicrous championing of Billy McMahon in his place). The patient historical research of Fitzgerald and Holt confirms what any half-aware journalist of his period already knew: Reid pushed plenty of private agendas, but in the end he always did what he was told by Park Street. Itâ€™s disheartening that a man whose lifelong socialist sympathies were formed during the Depression (and often called his mates â€œcomradeâ€) could have so comprehensively sold his soul to one of the most unprincipled buccaneers in Australian media history. As Laurie Oakes remarks in his judicious Foreword to this book, Reid â€œcombined the best and some of the worst aspects of political journalismâ€. David Salter has been an independent print and television journalist for more than 40 years. He is currently Editor-in-Chief of THE WEEK magazine. Review of Alan “The Red Fox” Reid: Pressman Par Excellence By Ross Fitzgerald and Stephen Holt New South, $49.95. ONE image that stands out in this book is a helicopter descending on the lawn of the nursing home where Alan Reid was dying in 1987: from it emerged the prime minister, Bob Hawke, who had come to pay his respects. Even in extremis Reid liked to have a chat with the powerful, and in his heyday, from the 1950s to the ’70s, his nose for a story and ability to winkle out intrigue were without compare. He was the man who brought Bob Santamaria out from anonymity and organised the famous photographs of Arthur Calwell and Gough Whitlam talking to Labor caucus members outside a Canberra hotel, the image that inspired Menzies’ famous and seemingly indelible gibe about the “faceless men” of the party; he played more than a merely reportorial role in the ouster of John Gorton. “A competent but somewhat venal purveyor of political gossip,” he was loftily called by Paul Hasluck, whom Reid had claimed to know better than he did; Whitlam also hated him, and took him to court. But mostly he was liked and respected: as has been pointed out in the most recent issue of Overland, his influence can still be seen in the work of the Australian journalist and author, Paul Kelly, who also prides himself on his insider status and whose writing, like Reid’s, emphasises the personal dramas of politics. Australian national politics often seems to be a blood sport. A celebrated example is the recent championship bout between K. Rudd and J. Gillard. It started around dinnertime one Wednesday and was over bar the shouting a few hours later. For anyone interested in why we like our politics that way, this biography of the legendary political correspondent Alan Reid is worth a look. Reid, born in Liverpool, was a nimble reporter who made a name for himself in the competitive Sydney newspaper world after the Depression. In Canberra he made an art form of targeting everyone from Robert Menzies to Labor messiah Gough Whitlam. Reid was best known for a scoop that led to the coining of the phrase “faceless men” to describe the ALP’s powerful factional leaders. At one stage Alan Reid was probably the most feared journalist in the Packer empire. Fitzgerald and Holt, both historians, have written a punchy, well-documented account of an influential career. Laurie Oakes’ brilliant foreword is a bonus. The advent of the internet is changing journalism and hard-bitten characters such as the late Alan “The Red Fox” Reid have all but disappeared from the profession. Never content with merely reporting the news, he was actively involved in shaping it. Ross Fitzgerald and Stephen Holt have resurrected him in this fascinating, entertaining biography. IT is rare for the description “legend” to be associated (accurately) with journalists. Many of us may imagine ourselves to have been influential — if not on events, then at least on the recording of history’s first draft. But legend status is reserved for the few whose work has truly contributed to shaping events in public life. Recent biographies have chronicled the lives and times of two true legends of Australian journalism, Graham Perkin and Alan Reid. The names probably mean little to today’s generation, even of journalists. Perkin has been dead for nearly 35 years; Reid died in 1987 (also a generation ago). The reasons for their status as legends of the profession are entirely contrary. Perkin has been lionised by many — particularly those who worked with him — as Australia’s greatest newspaper editor. Greatest or not, he certainly set the gold standard to which serious journalists aspire. Reid, on the other hand, while considered by some veterans (including The Australian’s Paul Kelly) as “the finest newsbreaker the [Canberra Press] Gallery has ever produced” — had a dark side. He was as much — and at times far more — a participant in the political machinations about which he wrote, as he was an observer and recorder of the news. The 500-page tribute to the late former editor of The Age, Melbourne’s morning broadsheet — Breaking News: The golden age of Graham Perkin — has been written by Ben Hills, who worked at the Mercury for a few years in the late 1960s before being poached by Perkin to help launch the formerly staid, stagnant, conservative newspaper into investigative journalism and interventionist campaigning. Hills, one of Australia’s best investigative reporters, will still be remembered by some in Hobart for his fearless and forthright pursuit of stories and his willingness to ask questions that were too embarrassing or intimidating for his colleagues. That was exactly why Perkin wanted him for what became The Age’s Insight team, which exposed financial scandals, corruption in high places and injustices to the marginalised. Perkin appointed an environment reporter and took up environmental issues before it had become fashionable. He famously ran a campaign of opposition to Victorian premier Henry Bolte’s determination to hang Ronald Ryan, the last person executed in Australia. Bolte was among a long list of those in power who were not used to, and did not take kindly to, having their authority challenged. But Perkin did not take a backward step. He confronted critics boldly and stared them down, despite the intimidation of $80 million to $90 million in writs for defamation which, had they succeeded, would have bankrupted The Age. In an era when the profession was dominated by men, Perkin hired female journalists, including the enduring Michelle Grattan, who is now doyenne of the Canberra Press Gallery, and Jennifer Byrne, who went on to a stellar career in television. It was also an era when journalists were permitted — nae, expected — to exhibit a culture of what Hills describes as “ larrikin irreverence and disrespect for authority and the rules” — a culture alien in today’s human resources-controlled world. Perkin was an enthusiast for good journalism and for his newspaper and tragically worked himself into an early grave in 1975 after a heart attack at age 45. Alan Reid achieved legend status for far different reasons than Perkin. As a political player, rather than merely a reporter of events, it is said he was more powerful than some ministers. 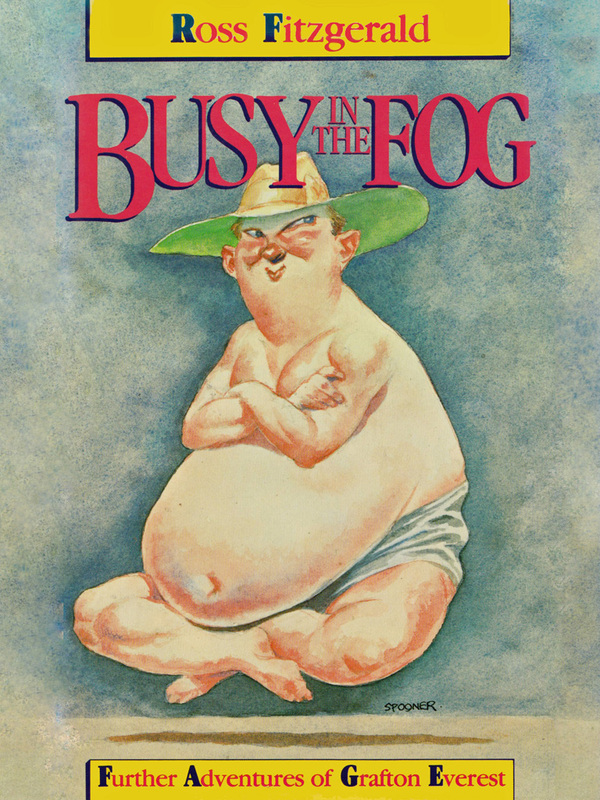 In his foreword to Alan “The Red Fox” Reid — Pressman Par Excellence, today’s best story-breaker in Canberra, Laurie Oakes, writes that “Reid combined the best and some of the worst aspects of political journalism”. As Oakes writes, it is very difficult to report politics without getting involved to a degree, “but to some of his peers Reid seemed almost as much a political player as a journalist”. He served as an unofficial strategic adviser and numbers man to politicians of both stripes. He advised prime minister Robert Menzies on a strategy to win the 1961 election, was central in the Labor Party split in the mid-1950s, and he campaigned to get rid of John Gorton as prime minister in 1971 and have him replaced by Bill McMahon, who was supported by Reid’s employers, the Packers. Indeed, for much of his career in journalism Reid was also a paid-up member of the ALP — something which created tensions both with his employer and the Labor Party, given that he was working for the strongly anti-Labor Sydney Daily Telegraph, then owned by Sir Frank Packer. He joined the Canberra gallery as a raw if enthusiastic and talented probationer in 1937 when Joe Lyons was prime minister. At his deathbed half a century later in 1987 he was visited by Labor’s longest-serving prime minister Bob Hawke, whom he greeted with a cheery “G’day comrade.” Three days later he died. Constantly prowling the corridors of power the Red Fox (the nickname he gained because of his red hair and cunning) had covered 20 federal elections. Though his background and roots were Labor — he was especially close to prime ministers John Curtin and Ben Chifley — he changed sides after the Labor split in the 1950s. He crafted his coverage to suit his boss in the Packer camp. Nonetheless, Reid’s contacts across the political spectrum were unparalleled, and he broke some of the biggest political stories of the era. He exposed the manoeuvrings of B.A. Santamaria, which led to the Labor split of 1955 that kept Labor out of power for 17 years. In 1963 the Australian political lexicon gave birth to the Infamous “36 faceless men” of the Labor Party when Reid arranged for a photo to be taken of Labor leader Arthur Calwell and his deputy Gough Whitlam skulking under a street lamp late at night while waiting for their instructions on a major policy issue which was made in a closed conference by 36 machine men of the party, most of them unknown to the electorate. Unquestionably Reid was a giant of political reporting whose contribution may never be equalled. The tragedy is that this ultimate Canberra insider did not match his talent as a reporter with independent and unbiased commentary. Alan ‘The Red Fox’ Reid: Pressman Par Excellence (Ross Fitzgerald & Stephen Holt, UNSW Press). Some people have asked for more information about the guest writers coming to the Gloucester Writers Festival, to be held April 28 to May 1 at the Recreation Centre. â€œWe are fortunate to have so many award winning authors in our program,â€ Lindy said. Opposition Leader Tony Abbott says Labor hasn’t changed over the past 50 years since the term “faceless men” was first used. The Daily Telegraph newspaper published a photograph of then Labor leader Arthur Calwell and his deputy Gough Whitlam outside the Kingston Hotel in Canberra in March 1963 waiting for 36 delegates to the ALP’s national conference to decide on party policy. The delegates were labelled the “36 faceless men”, a description used against Labor by Liberal leader Sir Robert Menzies. Mr Abbott told parliament on Wednesday Labor was “divided and directionless” as it waited for the modern-day faceless men of the party to decide on the leadership. “Fifty years ago tomorrow this immortal photograph (was published) of Arthur Calwell and the faceless men,” Mr Abbott said, waving the picture. “They were gathering 50 years ago tomorrow, they were gathering three years ago on Kevin Rudd and now they are gathering again on the current prime minister.